Lea Michele is officially engaged to boyfriend Zandy Reich as she announces the wonderful news on Instagram. The “Glee” star shares a photo of herself with her ring-bearing hand on her face. She writes the caption, which implies that she said yes to the proposal with a diamond ring emoji. A source dishes the scoop that the couple couldn’t be happier. It is reported that Zandy popped a question to Michelle with a four-carat elongated radiant cut ring, which he personally designed with Leor Yerushalmi and The Jewelers of Las Vegas. The couple is dating for more than a year before getting engaged. A representative of Michelle confirms the engagement of the couple, who was first romantically linked in July 2017. The pair has kept their romance privately as Zandy does not have any social media accounts and he only appeared in a few of Lea’s Instagram photos in recent months. 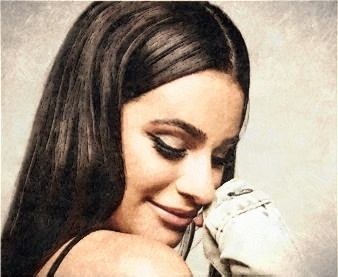 Meanwhile, Lea’s previous romances include “Glee” co-star Cory Monteith (2011-2013), a personal trainer Matthew Paetz for two years until 2016 and iZombie star Robert Buckley for several months before breaking-up around a year ago.